Google Public DNS is a free global DNS resolution service from goole. Google Public DNS comes with some advantages like Provisioning servers adequately, Preventing DoS and amplification attacks, Load-balancing for shared caching, DNS-over-HTTPS and Domain Name Security Extensions (DNSSEC) . In this tutorial i am going to show you how to change your current ISP provided DNS with Google Public DNS in ubuntu. click the Dash home from unity launcher. 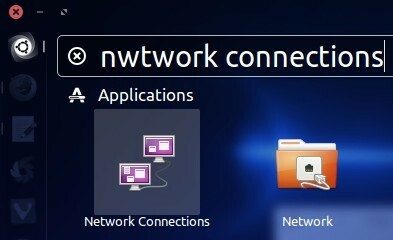 And type Network connections in the search field.Then click Network connections. Select the connection for which you want to configure Google Public DNS. 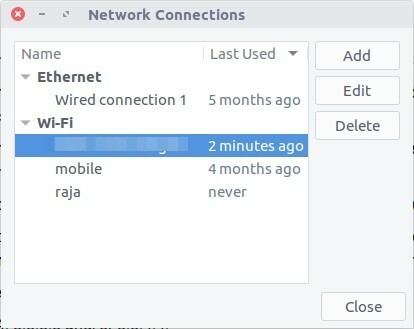 The available connections will show under Ethernet and WIFI (wireless) tab. select your connection and click the edit button. Then select the IPv4 Settings tab. 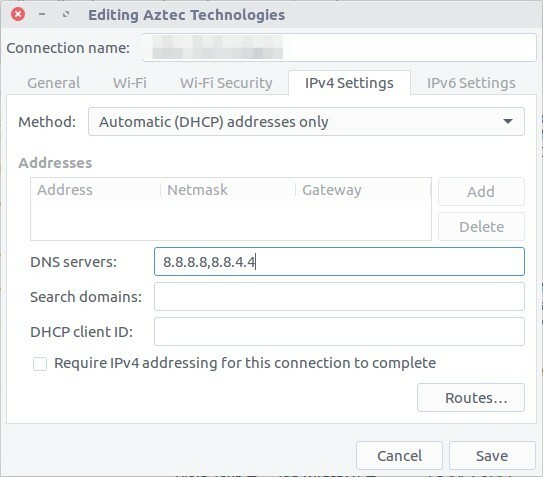 In method dropdown, select Automatic (DHCP) addresses only option. In the DNS servers field, enter the Google Public DNS IP addresses, separated by a comma. Click Save button to save the change. If you are prompted for a password or confirmation, type the password or provide confirmation.